Senator Bill Johnson (R-OH) and Congressman David McKinley (R-WV) undergo invasive security checks reserved for Jews. 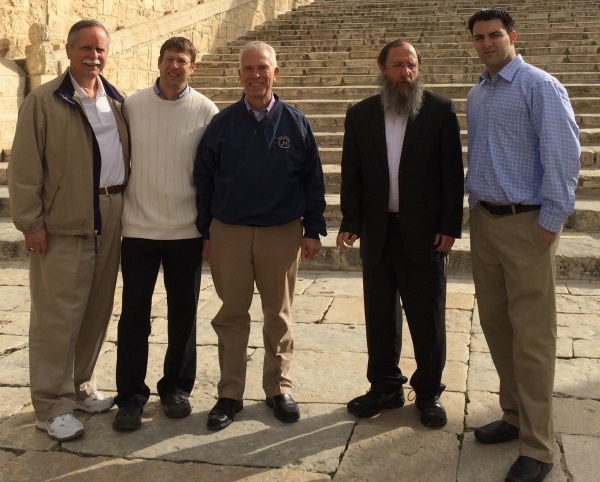 Early Sunday morning, Senator Bill Johnson (R-OH) and Congressman David McKinley (R-WV) joined Rabbi Chaim Richman, International Director of the Temple Institute, on a fact-finding mission of the Temple Mount. 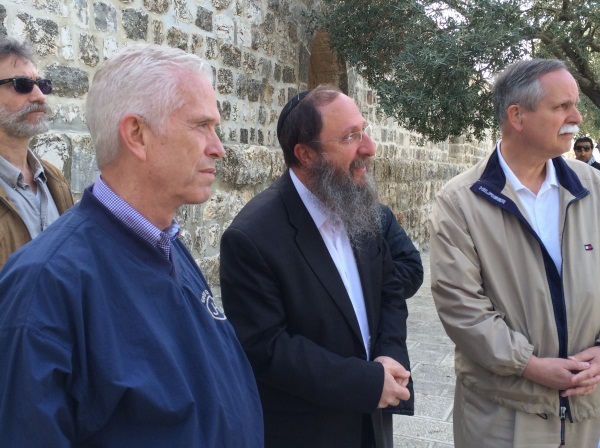 The visit was an opportunity for the American elected officials to witness the plight of Jews who are banned from praying in their holiest site. As they had joined a group of Jewish visitors, they underwent all of the excessive and invasive security checks that are only given to Jews, including thorough searches for any non-Muslim religious articles. The American congressmen were shocked at the treatment they received from the Muslim Waqf guards, who followed the group throughout the tour to ensure that nobody uttered any words of non-Muslim prayer. Rabbi Richman also pointed out the systematic destruction of the subterranean archeological remains of both the first and second Temples. “We are pleased that Senator Bill Johnson and Congressman David McKinley were given a first-hand opportunity to observe the every day reality of the discrimination of non-Muslims on the Temple Mount,” he said. The Temple Mount is Judaism's holiest site and the location of the two Holy Temples of Jerusalem, the latter of which was destroyed by the Romans in 70CE. Police sometimes close the Mount to Jews altogether in response to Muslim riots – for days or weeks at a time – despite evidence that such violence is usually planned in advance for the specific purpose of forcing Jews out. Former Canadian minister Stockwell Day, who visited the Temple Mount in January, was shocked over how Jewish police treated fellow Jews, according to a Temple activist who accompanied him. "He did not understand how one can talk about the reunification of Jerusalem while at the same time Jews are not allowed to open their mouths on the Temple Mount," said the activist.